Despite careful control, we cannot assume any liability for the content of linked pages. Responsibility for these contents lies exclusively with these pages’ operators. 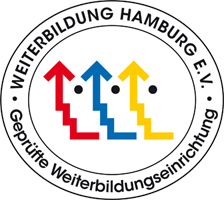 Educational institution Arbeit und Leben Hamburg assures that any automated processing of personal data complies with the regulations of the Federal Data Protection Act (BDSG) and the Hamburg Data Protection Act (HmbDSG) respectively.